Size: 22 x 18 1/2 in. Drawing of section of Fine Arts Building. 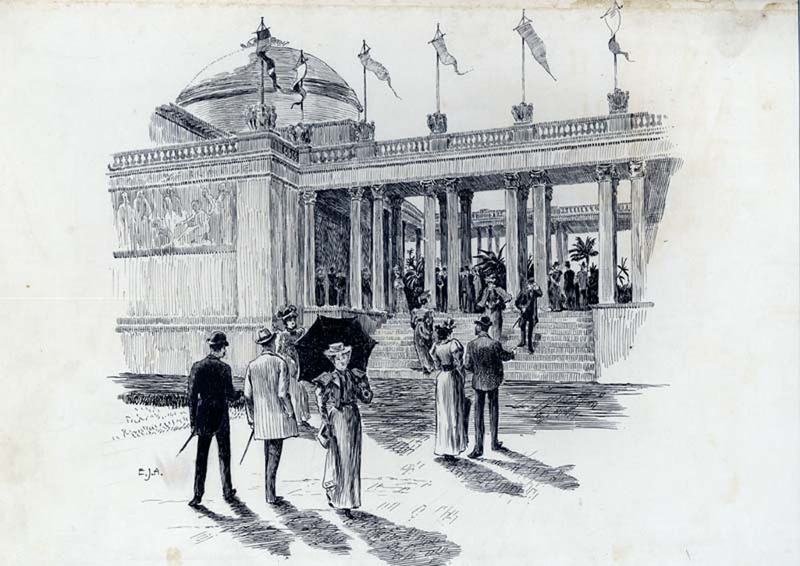 Spectators in foreground and on portico with corinthian columns. Framed illustrations.